IP Result of anti-ANO10 (IP:21901-1-AP, 3ug; Detection:21901-1-AP 1:500) with mouse brain tissue lysate 3600ug. 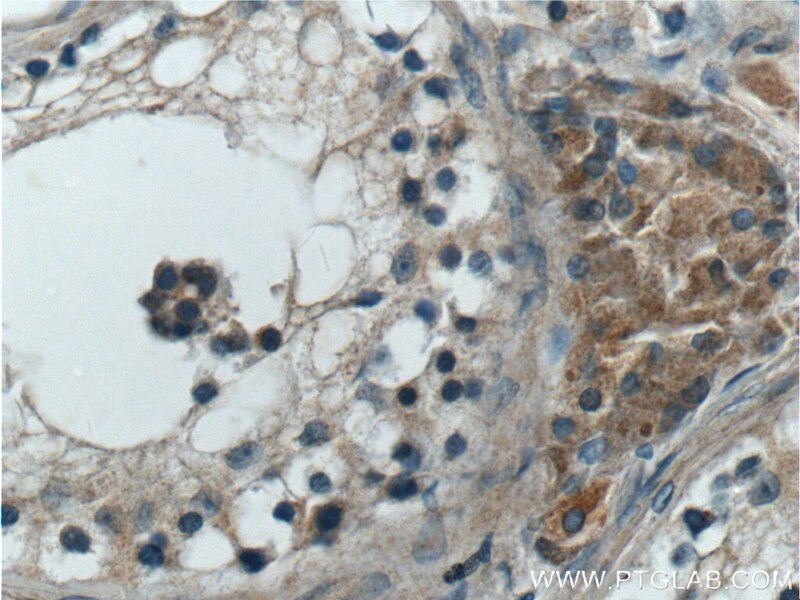 Immunohistochemical analysis of paraffin-embedded human testis tissue slide using 21901-1-AP( ANO10 Antibody) at dilution of 1:200 (under 10x lens). 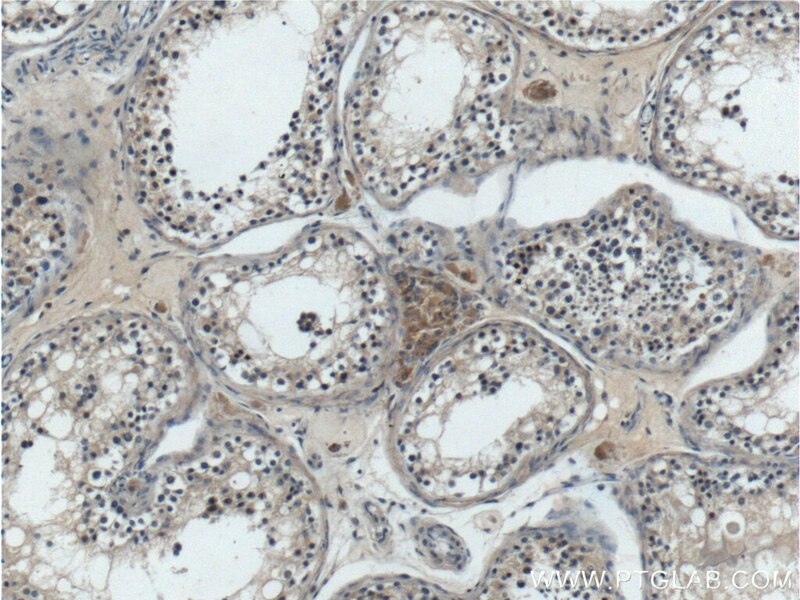 Immunohistochemical analysis of paraffin-embedded human testis tissue slide using 21901-1-AP( ANO10 Antibody) at dilution of 1:200 (under 40x lens). 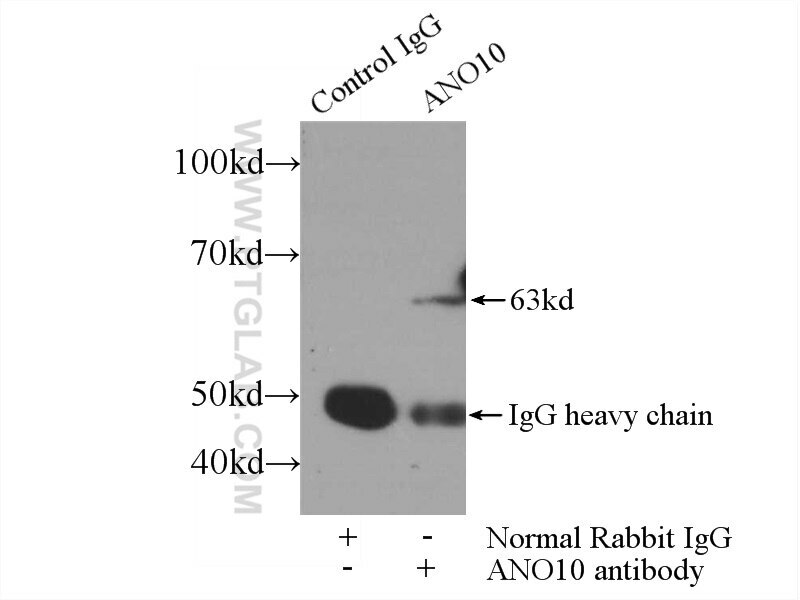 ANO10, also named as TMEM16K, is 660 amino acid protein, which belongs to the anoctamin family. ANO10 does not exhibit calcium-activated chloride channel activity and can inhibit the activity of ANO1. ANO10 is Highly expressed in the brain. ANO10 may have an association with Spinocerebellar ataxia, autosomal recessive, 10.